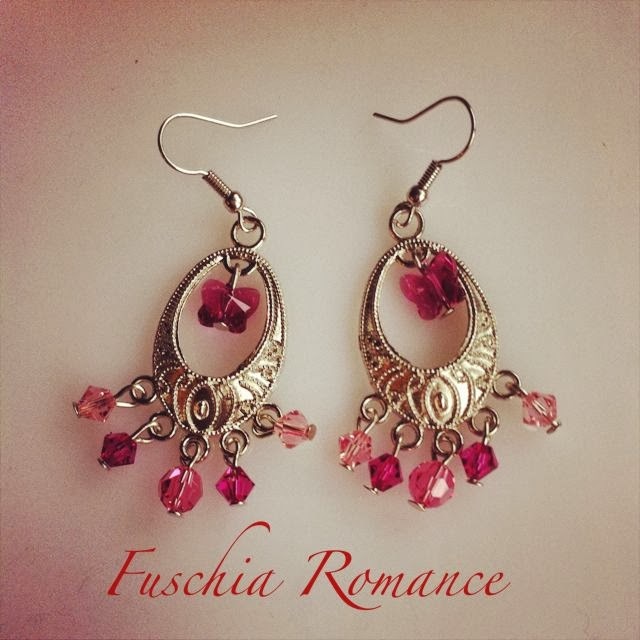 Some earrings to liven up your outfit... could be either for CNY or for Valentine's Day. Made from silver earring frame, various shades of pink Swarovski bicones and round crystals, pink Swarovski butterly and silver findings. 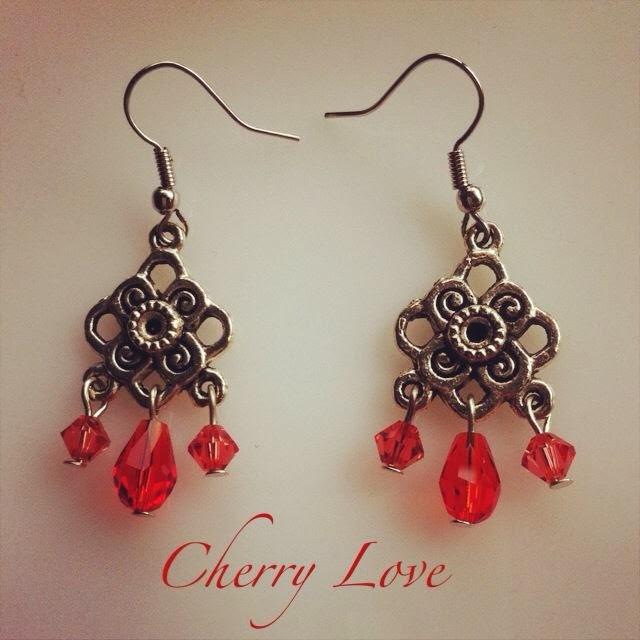 Made from silver findings, red Swarovski crystal bicones and red Chinese crystal beads.